Through the lifetime sport of tennis, the Colorado Youth Tennis Foundation, a 501(c)3 fundraising arm of USTA Colorado, promotes the physical, emotional and social development of ALL youth to aspire to become active, productive and responsible citizens. Thanks to the CYTF, tennis dreams have come true for thousands of Colorado kids since its formation in 1961. By providing individual player scholarships and program grants to kids and organizations throughout the state, the CYTF ensures that juniors from small rural towns as well as from larger metropolitan areas benefit from the sport. Tennis is much more than a healthy sport. It teaches important life skills like self-confidence, sportsmanship and teamwork. The CYTF is committed to providing tennis as a means to instill these attributes in Colorado’s children regardless of economic, social or ethnic background. 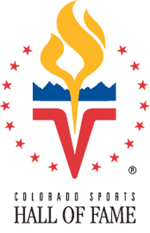 Watch the Colorado Youth Tennis Foundation in action.